Welcome to the AppWorks FileMaker Community! This is the place to learn what’s new both at AppWorks and amongst FileMaker developers here in the Portland metro area. We invite you to be an active part in this awesome, eclectic, tight-knit community. Read all about the musings in the minds of our developers. Learn about who we are, what we do, and why we do it, firsthand. Here you will find a sprinkling of written thoughts, mini-videos and trainings, and even a few FileMaker Fun Facts here and there. Listen to Matt expound on his FileMaker knowledge at FileMaker Talk. He’s been co-hosting these podcasts with Matt Petrowsky since 2008. Warning: his sense of humor might actually make you forget you’re learning. We want to empower new developers to take advantage of the best FileMaker Developing practices, which is why we created our YouTube channel. Our FileMaker Basics playlist was created specifically to explain the topics that we thought were tricky when we were first starting out. AppWorks has been hosting a monthly meeting of FileMaker developers of all ages and stages for over 15 years. 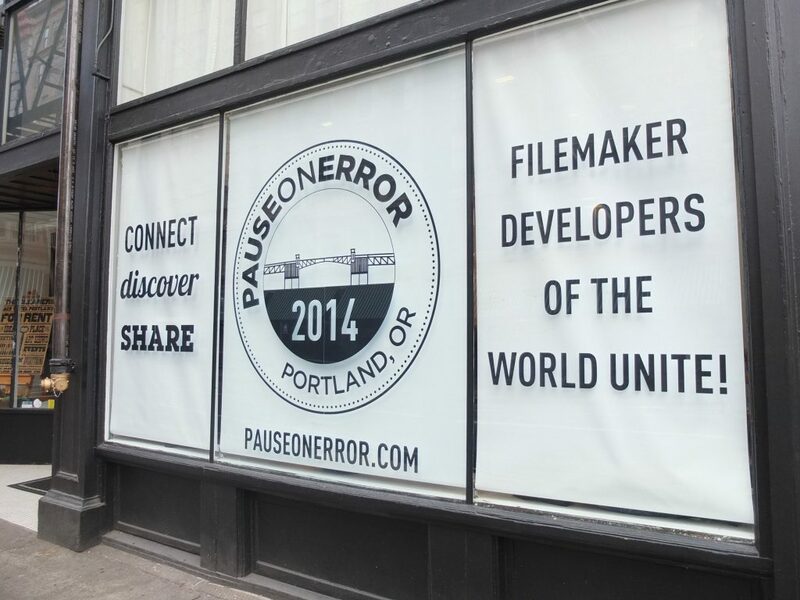 The meetings have evolved from FMPUG meetings to FileMaker Meetup – Portland. Anyone and everyone is welcome to join (it’s free!) and stay abreast of upcoming meetings. AppWorks and its growing team are active supporters and members of the Women of FileMaker. Women currently make up half of our staff! In May 2018, Kimberly presented at the Women of FileMaker hosted Pause on Error in New Orleans. AppWorks and other leading FileMaker firms around the United States to promote best practices of the #1 Workplace Innovation Platform via FM Academy. Did we say parties? We meant conventions. In October 2014 we co-hosted Pause On Error in Portland to a sold out audience. Days of FileMaker talk, food, and fun – what could be better? Here’s where you will learn about our next venture, so stay tuned!